Finding and retaining talented employees continues to be one the greatest challenges facing many of Canada’s top aviation and aerospace companies, but fortunately, many firms are blessed with employees who are taking the reigns and implementing change for the better; developing value-added efficiencies to enhance operations. In our annual Top 20 Under 40 report, Wings magazine uncovers 20 influencers who have altered their respective organizations for the better, spearheading change on a number of levels. The 20 individuals profiled here were carefully selected by our editorial team following an online nomination process. Candidates were nominated based on their influence at work, leadership in their communities, commitment to clients/colleagues and more. Featured alphabetically, our Top 20 Under 40 achievers represent the resourcefulness, commitment and dedication organizations are craving in today’s marketplace. Jason Arthur, 35, is certainly making a name for himself in the Canadian helicopter industry. 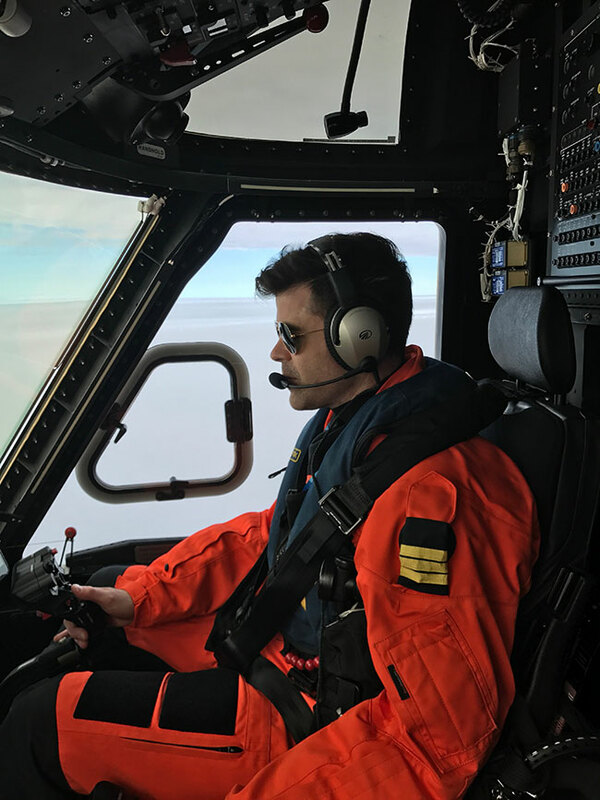 An IFR offshore first officer with Cougar Helicopters, Arthur holds a Group 4 instrument rating and is certified on the Sikorsky S-92, Bell 412 and Chinook CH-147. He also maintains a fixed wing Group 1 instrument rating with multi-engine ratings and boasts more than 2,200 accident-free flight rotary wing hours. Arthur is a graduate of Mount Royal University and served in the Royal Canadian Air Force (RCAF) from 2004-14 as a unit flight safety manager, aircraft captain and flight instructor. In 2009, he completed the mountain flying course at Canadian Helicopters School of Advanced Flight Training and is now working on his BSc in Aeronautics with minor in helicopter operations and safety. Since joining Cougar in 2015, he has taken additional responsibilities in the industry. He sits on the HAI membership committee and is a mentor for its military to civilian pilots program. He is also a mentor at Mount Royal and works as a fundraiser for the Wounded Warriors Foundation. Arthur is always looking for opportunities to do things better. He is indeed a rising star at Cougar Helicopters and within the industry as a whole. TITLE: Charter Flight Coordinator, Fast Air Ltd. Motivated, determined, dependable. These are just three of the words that accurately describe Heather Bisch, 36, charter flight co-ordinator, with Winnipeg-based Fast Air Ltd.
Bisch is the primary contact between Fast Air Ltd. and its business jet customers and owners, an often delicate and demanding role. On a nearly daily basis, she skillfully manoeuvres the intricacies of international operations, customs, customer specialized requests and many other tasks. Her patient demeanour, outstanding communication skills and clever problem solving ability always gets things accomplished – and done well. Bisch is also tasked with preparing flight crews to ensure they have a seamless trip – providing the executive experience to the customer. She also schedules aircraft for maintenance or coordination of defect rectification while away from base if required. In each role she is intuitive and resourceful, ensuring customers and crew have the information they need. Bisch is truly an aviation junkie. She has a broad knowledge of the industry and is a proud supporter of the Royal Aviation Museum of Western Canada. In the office, she inspires camaraderie and helps create a fun atmosphere where everyone is welcome. She is an asset to not only Fast Air, but the industry as a whole. Louis-Philippe Charland, 37, is an ambassador for safety, professionalism, training and customer service. Commencing his aviation career as a flight attendant with Air Transat in 2000, Charland’s passion for aviation took hold. After gaining experience as a line flight attendant, he joined Privatair in Geneva, Switzerland. For the next six years, he worked his way into positions of in-flight director of the VVIP scheduled and charter flights, cabin safety instructor, and security team member. In 2014, he accepted the role of in-flight supervisor and cabin safety trainer at Air Georgian. In this capacity, Charland assisted the flight attendant manager in supervising the Toronto base, assessing flights and line checks, and creating and delivering the flight attendant training program. In 2015, he joined Transwest Air as flight attendant manager, responsible for the professional standards of the cabin safety department. He then joined Air Canada in the capacity of in-flight services training; he did so while still attending to his many responsibilities at Transwest while they searched for a suitable replacement. Charland is an excellent trainer. His knowledge is enviable and his enthusiasm is infectious. He is also active in the industry. He works for ATAC and NACC, actively sharing experiences to help foster industry development. Colin Dempsey is one of those individuals you know will go far. 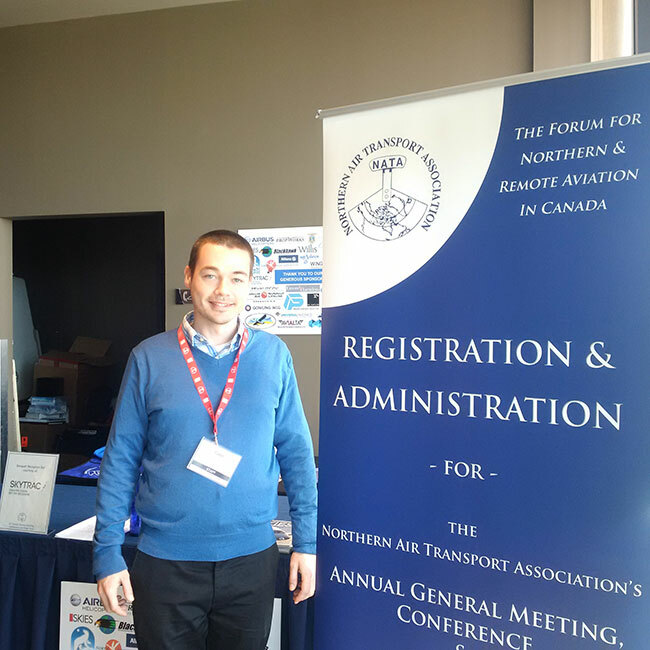 Since joining the Northern Air Transport Association (NATA) in 2011, the 32-year-old has tirelessly served first as its executive assistant and currently general manager. NATA is the advocacy group and industry association focused on the creation and maintenance of the safest and most efficient-possible operating environment for northern and remote aviation in Canada. The general manager position rolls the functions of bookkeeper, event planner, web master, graphic designer, membership coordinator, association representative and referee all into one. Somehow Dempsey, has not only managed to get all of this done, but to excel at the process. He has also juggled being the owner of an art gallery, the president of the Northern Frontier Visitor’s Centre in Yellowknife, managing the local farmer’s market, teaching at the local college and being a landlord. In addition to the skills in the day-to-day running of the association, Dempsey has been a quick study in all the various aviation and government relations challenges. With a strong moral compass and sense of fairness he is always striving to do the right thing whenever possible, be if for NATA or his involvement in local politics. It would be hard pressed to pick only one word to describe Dempsey from the long list that comes to mind: diplomatic, conscientious, hardworking and more. Lindsay Hai’s interest in aerospace dates back to when she was a child growing up in Hong Kong. Hai’s father, a 40-year veteran with Cathay Pacific, immersed his daughter in the business. By the time she was 10, she had travelled to 18 countries worldwide. In 2009, the now 30-year-old joined Vector’s Engine Services – Atlantic team as a financial analyst while in the last year of study for her bachelor’s degree in business administration at the University of Prince Edward Island. Hai would continue working in the financial analyst role with Vector while simultaneously studying for both her MBA and certified management accountant (CMA) designation at Saint Mary’s University, Halifax. She graduated in 2013 at the top of her class, receiving the E.L Whitman Gold Medal Award. Upon graduation, Hai spent one year with the IMP Group in Halifax as an internal auditor, assisting the company’s management with identifying and evaluating risk management, control and governance processes. In 2014, she was welcomed back to Vector, initially as a senior financial analyst. 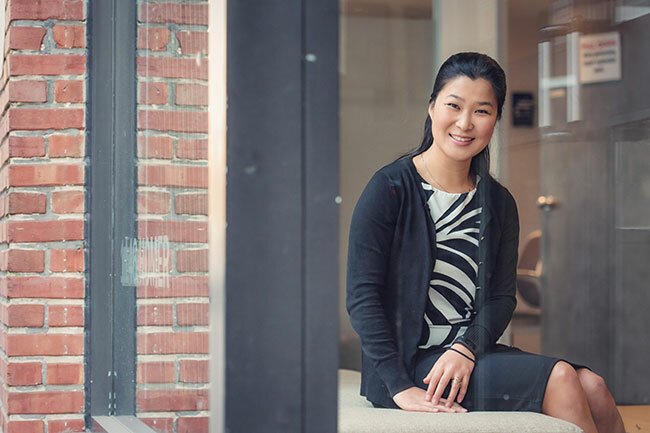 Just 18 months later, Hai was promoted to business performance manager, in which role she was actively involved with Vector’s continuous improvement initiatives. One year after her initial management appointment, Hai was promoted to senior finance project manager. Her rapid rise through Vector’s leadership is a reflection of both her strong academic credentials and her approachable character. 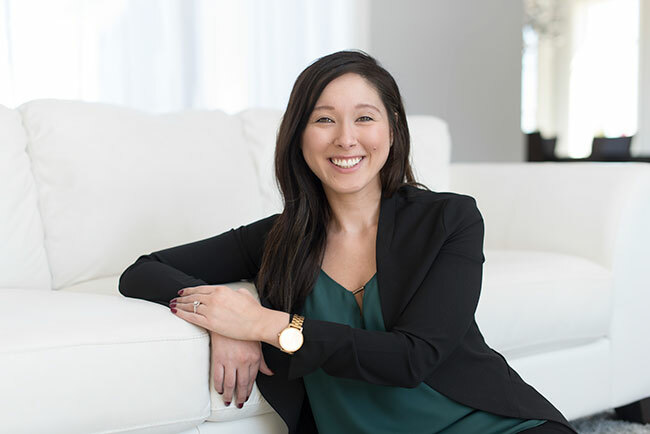 Outside of Vector, Hai sits on the Investigations Committee for Chartered Professional Accountants P.E.I and is actively involved in her local community. She truly is an invaluable member of the Vector team. For Lee Hawke, it’s truly the advancement of a new generation of aircraft maintenance professionals that motivates his every day since joining Rocky Mountain Aircraft in 1999. 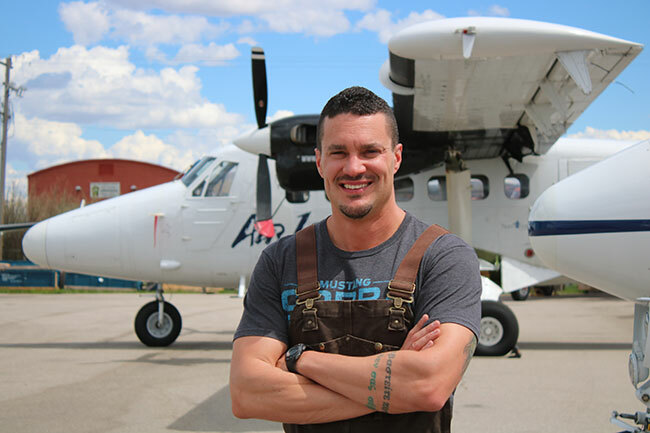 As a Southern Alberta Institute of Technology, aircraft maintenance engineering technology graduate, Hawke received his AME M1 licence in 2002. He has travelled extensively in support of key contracts within the organization including throughout Europe, India, North and South America. In his role as lead engineer and crew chief, Hawke, 38, has contributed to the growth and development of many AMEs including a past nominee. He is also passionate in his commitment to the continued growth of the organization as demonstrated in his more than 18 years of dedicated service. Always ready for a new challenge, Hawke’s daily life starts with a mindset steeped in achieving the highest standards and work ethic based on leading by example. As a leader and motivator of young people within the aviation community, Hawke’s creative approach has also served to encourage others to participate and become involved in numerous aviation events and organizations. As a key member of Rocky Mountain Aircraft, Hawke also sits as a member of the S.A.I.T aircraft maintenance technology advisory committee. He is a regular contributor to implementing new processes and improvements. Hawke is a consummate professional who continues to provide a new generation of aircraft maintenance engineers with the knowledge and skills to thrive within this organization and in their careers. Driven. Passionate. Dedicated to providing top-notch customer service. Goes above and beyond what’s expected. Ask those that nominated Annemarie Mercedes Heikenwälder for a Top 20 Under 40 award in 2017 and these are just some of the words and phrases used the describe this dynamic 28-year-old polyglot. Heikenwälder, in fact, wins the distinction of garnering the most nominations of anyone in 2017 voting. Heikenwälder is the manager of sales and business development for St-Hubert, Que.-based FBO H-18. It’s a demanding role on a variety of levels, but one Heikenwälder flourishes in. Having officially started as a customer service representative, Heikenwälder quickly became the manager of sales and business development. When she began her new role, occupancy at the hangar was sitting at some 40 per cent, but within two years, she had brought the occupancy level to a cool 100 per cent. And that’s not all. Heikenwälder’s commitment to training has enabled H-18 to be widely recognized now by clients, customers and competitors for its high safety standards, service excellence and more. Heikenwälder completed her IATA Aviation management certificate from Stanford University earlier this year, and continues to impress clients and colleagues with her professionalism, integrity and commitment to top service standards. She actively supports industry associations and her drive, diplomacy and competitive edge will serve her well as she continues her aviation career. Since he was 17, Major Jameel Janjua has chosen a life of service and adventure. Major Janjua, 38, is an experimental test pilot and fighter pilot with the Royal Canadian Air Force (RCAF). 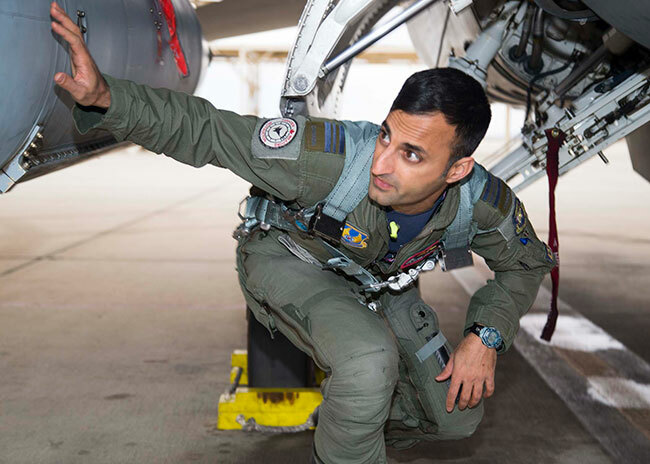 He is currently an exchange officer and test pilot to the United States Air Force (USAF) at Edwards AFB, Calif.
Janjua’s background reflects an unparalleled work ethic and opportunities he has capitalized on as a RCAF pilot. He graduated first in his class at the Royal Military College of Canada, receiving the Governor General’s Silver Medal. He subsequently completed a master’s in aeronautics and astronautics at the Massachusetts Institute of Technology (MIT). Following pilot training and conversion to the CF-18 Super Hornet, he was selected for the Fighter Weapons Instructor Course (FWIC). Janjua’s leadership in combat was proven during a three-year exchange tour flying Tornado GR4’s with the Royal Air Force (RAF). He completed more than 80 missions/450 hours on combat operations in Afghanistan and Libya with the RAF. Following his return from the U.K., he once again sought out highly specialized training in aviation by petitioning to become one of Canada’s very few military test pilots. After an intense yearlong course, he became only the fourth Canadian ever, including Chris Hadfield, to receive the Liethen-Tittle award as the top graduate of the U.S. Air Force Test Pilot School (USAF TPS). Following graduation from USAF TPS, Janjua was selected to remain at Edwards AFB as an exchange test pilot. He is also the lead test pilot on the team of experts that advances Automatic Collision Avoidance Technologies in the USAF. Janjua is certainly a role model for young Canadians to show them that anything is possible, including their wildest dreams. 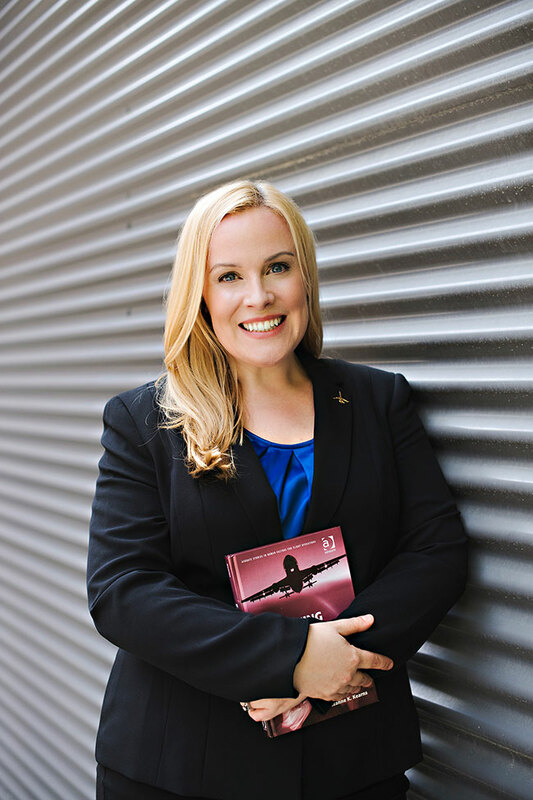 Suzanne Kearns, 37, has been passionate about aviation since her childhood growing up in Wiarton, Ont. She began flight training at the age of 15, soloed on her 16th birthday and had her private airplane and helicopter pilot licences signed off on her 17th birthday. She finished high school and moved to North Bay, Ont. and received her commercial rotary-wing licence from Canadore College. In 1998, she earned a bachelor’s degree in aviation, graduating with a bachelor of science degree in aeronautical science in 2000 and subsequently a master of science degree in human factors and systems engineering in 2002. Upon returning to Canada, she was hired by the University of Western Ontario as a full-time lecturer. While working full time, she completed her PhD in education and was promoted to assistant professor in 2008 and subsequently an associate professor in 2014. Her research reflects the combination of her interests – exploring the impact of human factors on aviation safety, along with a variety of educational theories including competency-based education. She is also actively involved with the University Aviation Association (UAA). She is now the past president of the association. Kearns also volunteers to support the International Civil Aviation Organization’s (ICAO’s) Next Generation of Aviation Professional (NGAP) program, as vice-chair of Outreach. 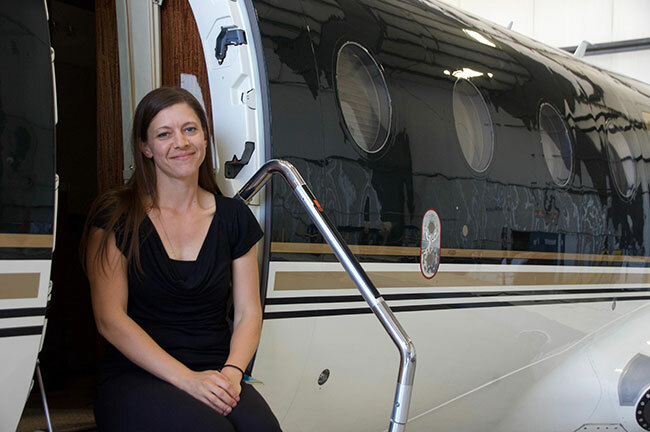 In 2016, Kearns accepted an invitation to move into the University of Waterloo’s aviation program where she has already made an impact. She teaches about 100 aviation students each year in courses she has developed in human factors and international aviation. The importance of details is certainly something Norman Kwong understands. 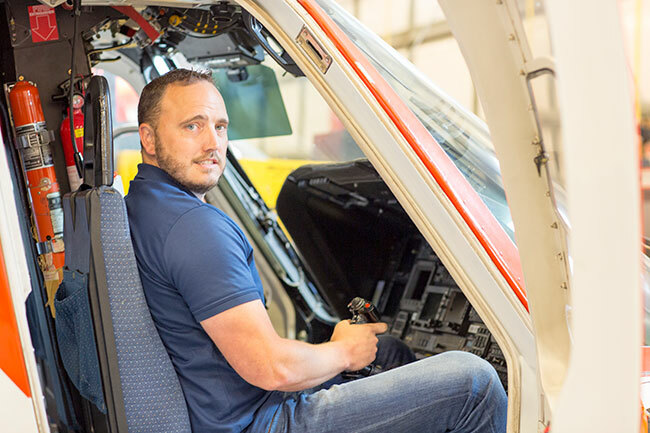 For the past four years, the 33-year-old has worked as a dynamic component technician in the repair and overhaul department at Airbus Helicopters Canada in Fort Erie, Ont. – a challenging and very detailed-oriented profession. Kwong graduated in 2006 from the University of British Columbia with a bachelor of science, focusing on physics. He furthered his education at the British Columbia Institute of Technology (BCIT) and completed the aircraft maintenance engineer (category “M”) program in 2008. In his role as dynamic component technician in the Airbus Helicopters Canada repair and overhaul department he is directly responsible for receiving customer parts, completing initial assessment and paperwork and expediting the completion of repair and overhaul work. Kwong completes each job task with the customer in mind, displaying strong attention to deadlines, accuracy in completion of work and high standards of quality. His knowledge of repairing dynamic components is unparalleled and his customer services skills are exemplary. Earlier this year, Kwong was asked to take on additional responsibilities as an official trainer of Airbus Helicopters. In this role, he teaches Airbus Helicopter employees on the AS350 dynamic components overhaul. This new opportunity will directly impact Airbus Helicopters repair and overhaul employees worldwide. 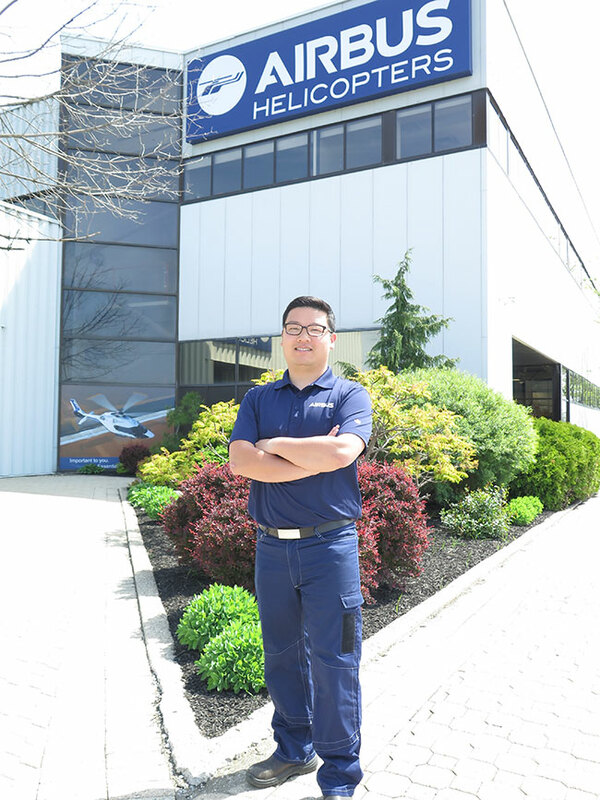 Kwong’s strong work ethic and drive for continuous learning is helping Airbus Helicopters Canada maintain a solid leadership position with customers worldwide. “There’s an importance in following market trends and pushing for growth in our industry,” states Alain Madore as he settles into his new office, as president and CEO of DART Aerospace. This 35-year-old MBA graduate and aerospace engineer has been working in the aeronautical industry for close to 15 years now. Driven by business strategies and opportunities, Madore has plans to leverage his experience and his vision to continue to grow the business and adapt it to changing market conditions. During his five years at DART Aerospace, the newly appointed president and CEO has restructured the commercial organization that has thereafter made its proof: DART has outperformed the market over the last few years despite the industry downturn. Madore has also put much effort into the rebranding of the company as well as increasing business relationships with OEMs. He previously worked for Bombardier in marketing and business development and has brought his passion for operational excellence to DART. He has travelled to more than 30 countries and has developed a taste for global expansion and the fundamentals of doing business internationally. His unprejudiced, customer-first focused mentality has brought him thus far in his early career and he wishes to inspire young leaders in wanting to strive for advancement of the industry’s technologies. TITLE: Systems Architect, Jeppesen Canada Ltd.
For the past six years, Jeppesen Canada Ltd. systems architect Marius Magearu has worked diligently on delivering the Jeppesen Manpower (JMP) crew management product to commercial operator, Aeromexico. And over that timeframe, the 34-year-old’s commitment and dedication to the project has been exemplary. Magearu began work on a mock JMP project in 2011 to make sure the Montreal office was ready to handle all aspects of the implementation process. He even travelled to Sweden for up to three months at a time to be closer to the development team to better understand the product and process development. Magearu’s hard work has paid off, and twice his peers throughout the years for the project’s development have recognized him. At a specific users conference, for example, Aeromexico presented the program to the audience, explaining how it created significant cost savings for the organization. It was indeed a defining moment for Magearu and the Jeppesen team. Magearu’s ironclad relationship with Aeromexico is indicative of how he works with his entire team. He consistently shows strong leadership ability and is not only extremely knowledgeable, but is an outstanding coach and mentor to his team members. Highly motivated and enthusiastic, he received the Captain Jeppesen Award last year, the company’s most prestigious internal award, for his resourcefulness, creativity and commitment to the organization. Scott Markwick is an invaluable member of the Heli-One team. Markwick, 37, has been at Heli-One for 10 years, working his way up from lead mechanic, airframes to manager, base maintenance. He grew up in B.C. and after high school, immediately started the airframes structures AME program at BCIT. He received his AME S licence at 23 and has worked in fixed- and rotary-wing maintenance roles ever since. Markwick has been in leadership roles for the past seven years. As the youngest base maintenance manager at Heli-One, he recognizes the importance of bringing up new generations of AMEs and actively encourages and mentors apprentices that join the shop. As one of two of his original AME class to still be in aviation, he recognizes the importance of newer aircraft mechanics honing their skills in a variety of ways in order to be flexible in a dynamic job market. Markwick has been instrumental in implementing new processes and project management methodologies to increase the efficiency at Heli-One. He is very dedicated to his career, colleagues and industry, and takes great care and consideration in all aspects of his craft. Ehsan Monfared has certainly accomplished a great deal in a very short timeframe. The 28-year-old associate lawyer with Toronto-based Clark & Company is becoming a strong advocate for industry, often calling out various regulatory bodies when policy decisions are inefficient or unproductive for accomplishing their stated objectives. Monfared regularly deals with Transport Canada in matters relating to foreign and domestic operating authorities, UAV regulation, and CARs violations and enforcement. He also currently serves as an officer for the Canadian Bar Association’s (CBA) Air & Space Law Section. He be will moving to the position of vice chair later this year. During his short term with the CBA, Monfared has led the preparation and issuance of commentary to various regulatory bodies including submissions aimed at the CTA review and the currently ongoing Regulatory Modernization Initiative. He has also been actively involved in the rapidly changing area of UAV regulations in Canada and working closely with Unmanned Canada in the planning of its annual conference. Monfared is very involved with industry associations, particularly the CBAA. 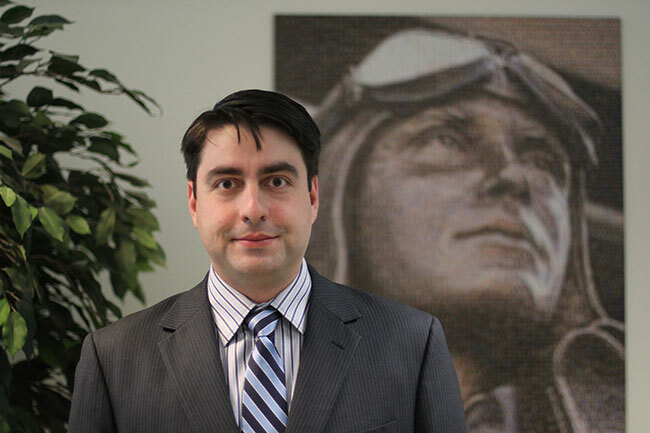 His regular involvement in aircraft transactions has exposed him to the practical and operational challenges present in Canada’s aviation industry. He was immersed in the recent dispute between the business aviation community and the GTAA in relation to access restrictions at Toronto’s Pearson International. 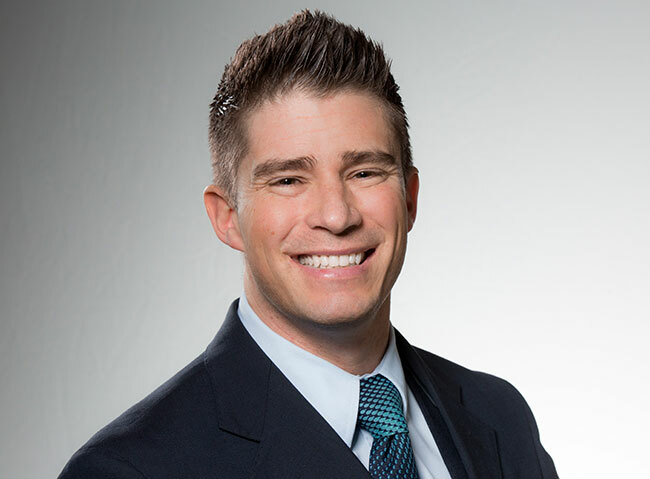 He has also helped clarify various legal issues affecting aviation on national news outlets. 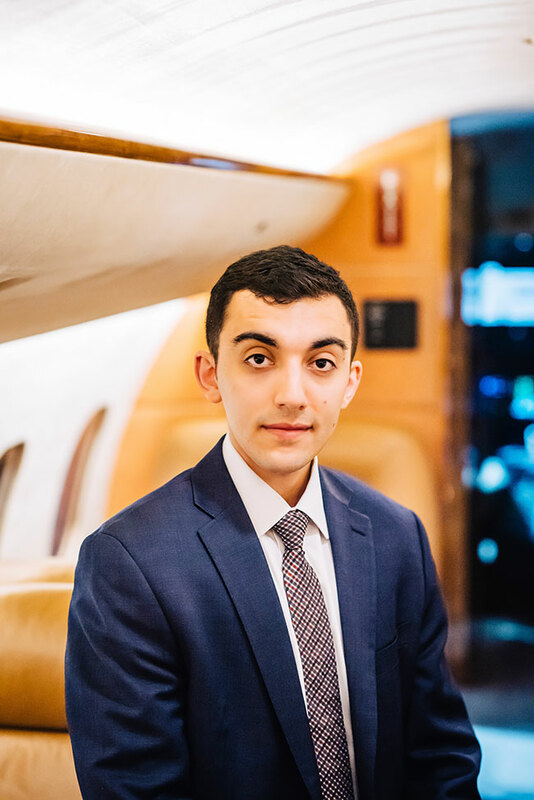 Concise and thorough in his approach to all projects, Monfared is certainly an emerging force in the Canadian aviation community. For Andrew Persaud, the sky literally is the limit. 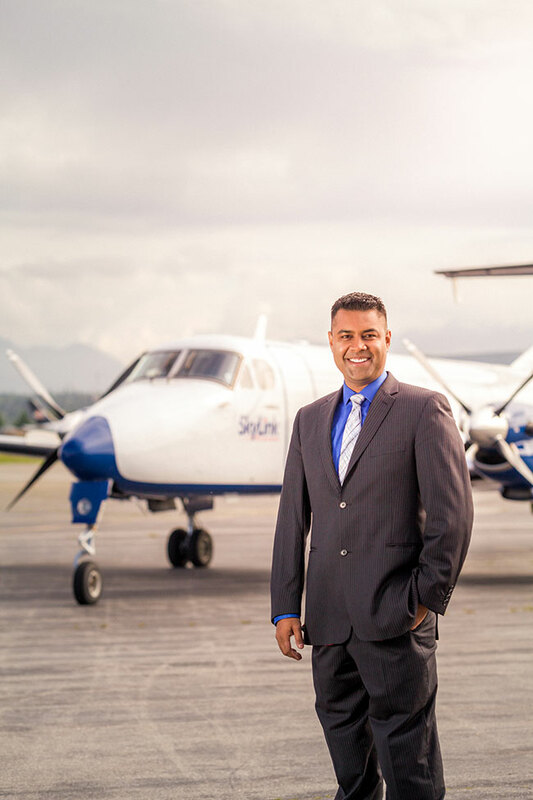 The 28-year-old assistant chief pilot with Vancouver’s Skylink Express – Canada’s largest regional air cargo feeder carrier – oversees the operation of hundreds of weekly flights around North America. He does so with tremendous efficiency and skill. Persaud is also a training captain on the Beechcraft 1900 and Cessna 208B Grand Caravan regional freighters. Persaud has a passion for aviation and possesses diverse educational background, giving him a unique view of his industry. He graduated from York University with a liberal arts degree and was vice-president of the York University Aviation Association. Growing up in Toronto also gave him a keen sense of community and he quickly understood the importance of giving back to his community. He volunteered as a pilot for Hope Air, flying Canadians in need from rural locations to urban centres and is currently volunteering for the Urban Pilot’s Network, a non-profit organization geared towards mentoring youth in the pursuit of academic and aviation opportunities. Recently, Persaud added to his impressive achievements by becoming a captain with the Department of National Defence, working as a training officer for an air cadet squadron in Richmond, B.C. In grooming the aviation leaders of tomorrow, Persaud actively shares his message of hard work and dedication combined with the passion to soar. Devising solutions to enhance supply chain management, internal program management and customer account management is simply par for the course for Matieu Plamondon. 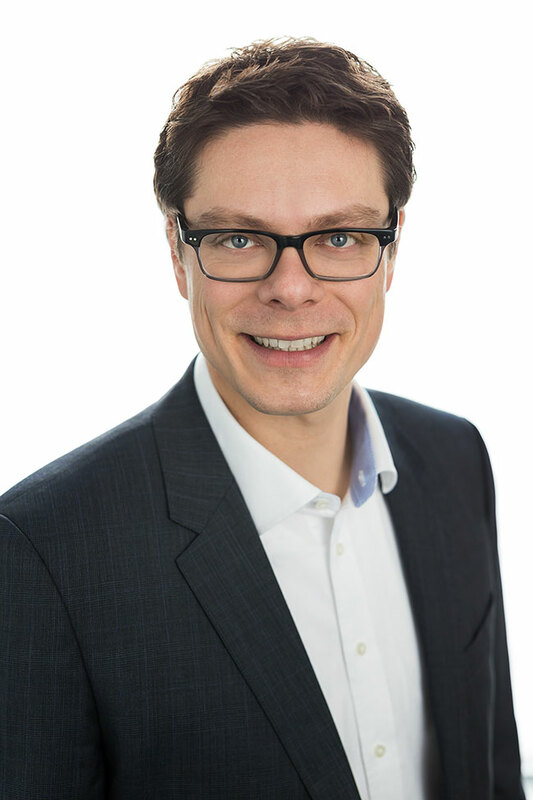 The 38-year old is vice-president of operations and customer fulfillment at Calgary-based FLYHT Aerospace Solutions Ltd., a role that includes overseeing operations not only here at home but also in Europe, China, India and with other global customers. He does it all with determination and verve, showing a commitment to excellence that is truly infectious. FLYHT is adopting lean processes in its operation and Plamondon has uncovered key assets in the company’s efforts to create and improve standard processes. He has identified new ways to measure, created metrics that highlight improvements and has demonstrated significant objective enhancements in all areas. Plamondon bring more than 18 years of experience to his role and works hard to ensure his customers get maximum value from the products FLYHT creates. 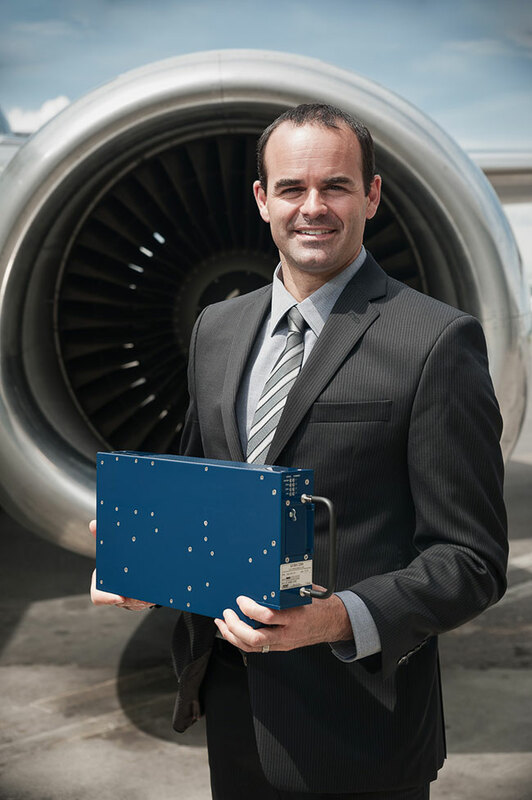 He joined the FLYHT team because he maintains that real-time data that the Automated Flight Information Reporting System (AFIRS) offers can increase efficiencies and safety throughout the industry. Plamondon has a diverse background in aviation. He started his journey as a maintenance apprentice while earning his pilot’s licence and working part time as an airlines operation agent. A “high potential” executive on the rise, Plamondon is making a difference on a number of critical levels. For 34-year-old Dawen Nozdryn-Plotnicki, the numbers tell the story. As director of advanced analytics and Boeing’s business consulting analytics practice lead, Nozdryn-Plotnicki is responsible for leading the analytics team in collaborating with Boeing’s airline, airport and defence customers to enhance their operations and maintenance through applied analytics. Her consultive approach combined with astute business acumen and technical abilities has provided a blueprint for the concept and development of Boeing Vancouver’s Digital Aviation Labs division, which opened last September. Today, Nozdryn-Plotnicki leads a team of data science and analytics professionals in the new labs environment, bridging the gap between technical and business groups to find solutions to some of the most challenging problems facing commercial carriers today. Since joining Boeing in 2014, Nozdryn-Plotnicki has worked on a number of projects, ranging from anomaly detection using text mining and machine learning to inventory optimization and passenger flow stimulation. Her focus as a leader revolves around empowerment – encouraging others to shape their careers, grow as leaders and excel in all aspects of their profession. Nozdryn-Plotnicki’s team has been recognized with a number of top awards and she continues to be the driving force for its success. Her leadership skills and technical acumen are beyond reproach and as aviation technology continues to evolve at lightening speeds, one thing is certain: the possibilities of what Nozdryn-Plotnicki and her team can do next are endless. 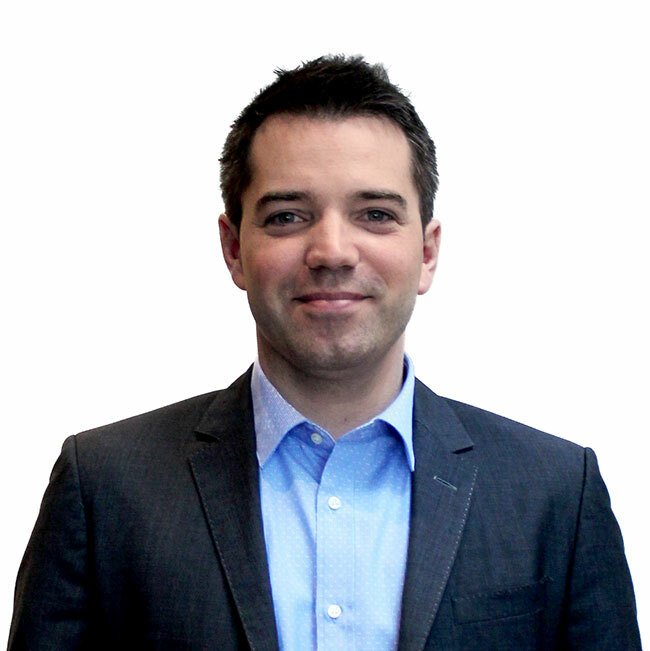 A go-getter from the outset, 32-year-old Alexandre Prevost started his journey at CAE as a financial analyst in Montreal in 2008 and his career has been on the fast track ever since. Prevost has quickly climbed management ranks into finance, operations and business development roles, now covering CAE’s training business in Asia. During his time at CAE, Prevost has developed strong relationships with customers all over Asia, and has been instrumental in solidifying and growing CAE’s presence in the region. No better was this demonstrated than during the company’s landmark joint venture with Kuala-Lumpur-based airline AirAsia, where he played a pivotal role. This relationship has proven to be a great success, with AirAsia being a key partner in developing CAE’s next generation of training products – the results of which will likely shape the next generation of pilot training on a global scale. Prevost holds the highest role in CAE’s civil division in this region and he has myriad responsibilities, including creating and maintaining relationships with various airlines, increasing the number of airlines using CAE training solutions and more. After only one year in his current role, Prevost has surpassed all financial objectives and has secured a number of key partnerships. Dedicated and driven, Prevost is certainly one to watch in the months and years ahead. If you’re looking to meet a young leader who has had a tremendous impact on the aviation industry, look no further than WinAir’s commercial manager Kyle Vergeer. At 29, this budding executive boasts an extensive portfolio that is worthy of attention. Born into an aviation family, Vergeer was immersed in aviation when he was just an infant. At 11 months, he took flight for the first time in his father’s Cessna 140 from a private grass runway located steps from the family home. At 12, he enrolled in the Royal Canadian Cadets in London, Ont., retiring from the program six years later as a Cadet Squadron Commander. He then initiated his career at an MRO stores department and followed with a role as a safety management systems administrator, where he learned about aviation maintenance and inventory control. Vergeer joined WinAir in 2008, and after several years of dedication and organizational growth, he was promoted to commercial manager. His responsibilities included co-managing staff, overseeing operations, generating new business opportunities and assembling and accompanying implementation teams for new product installations. It’s in this role that Vergeer shines. Acting as process consultant, he takes a hands on approach to maintenance management and helps organizations streamline operations, improve efficiencies and save capital expenses. 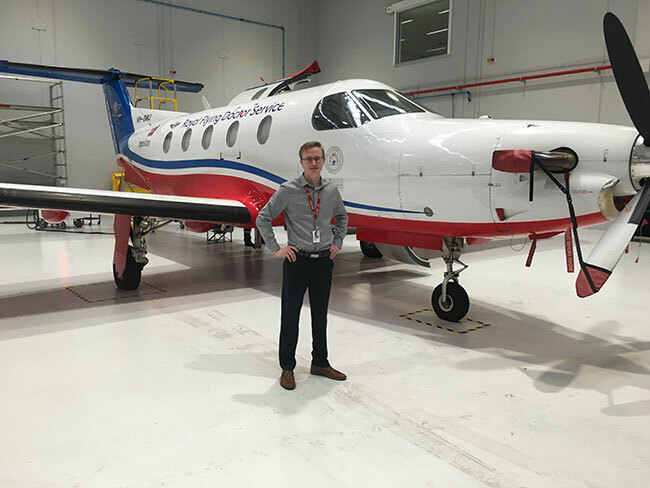 An active voice in industry associations, he is also completing his pilot’s licence and striving to become a subject matter expert in aviation maintenance standardization. Suffice to say, Jonathan Wood had his sights set on an aviation career at a very young age. Wood started his career with Great Slave Helicopters at the age of eight doing anything he could do to help out including everything from sweeping to sanding. He attended NAIT in Edmonton focusing on sheet metal maintenance and graduated in 2000. 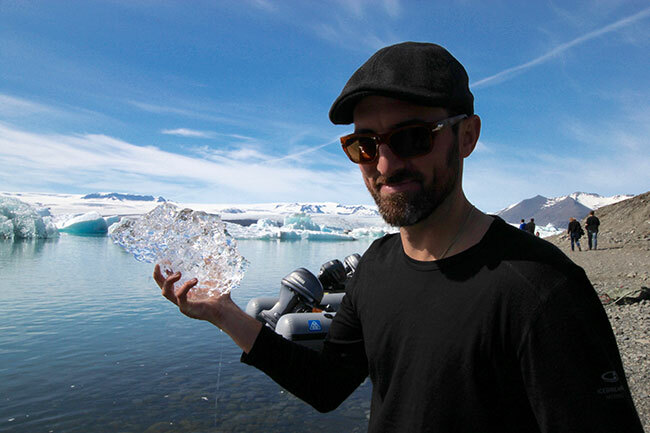 Feeling inspired, he packed his bags and started working back in Yellowknife with Air Tindi. He got his big break as an apprentice and was sent to work under veteran sheet metal engineer Don Netskar to rebuild one of Tindi’s Twin Otters at Ken Borek’s hangar in Calgary. While working there, he rekindled his love of helicopters and shifted gears to work for Chinook Aviation on various helicopter types. A variety of positions followed, including a stint in the Antarctica to recover a crashed Basler DC3 off the ice and more. In 2008 he joined Avialta Helicopters where he focuses on complex structural repairs on both helicopters and fixed wing aircraft. He is constantly learning new techniques, technologies and processes and continues to hone his skills with OEM training, attending HAI technical courses. Wood is not only a creative, dedicated professional, he is a true leader and mentor to the entire Avialta team.